cypress rows and large shady cork oaks. The driveway takes to the parking lot, made of natural bowers and trumpet vines. On both sides of the driveway, olive trees and herbs bushes give off perfumes and flowers. 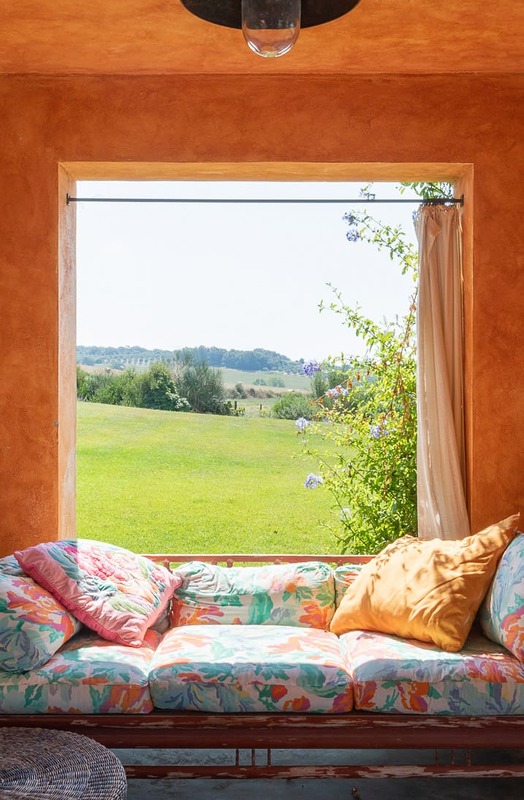 The outdoor area includes also an orchard and an organic vegetable garden with a unique and original design, which has been published in “Orti d’Italia”, by Paolo Peirone, one of the most prestigious landscape designers in the country. The large infinity pool perfectly fits in the garden by means of a drop contained by hand-made dry local stone walls. 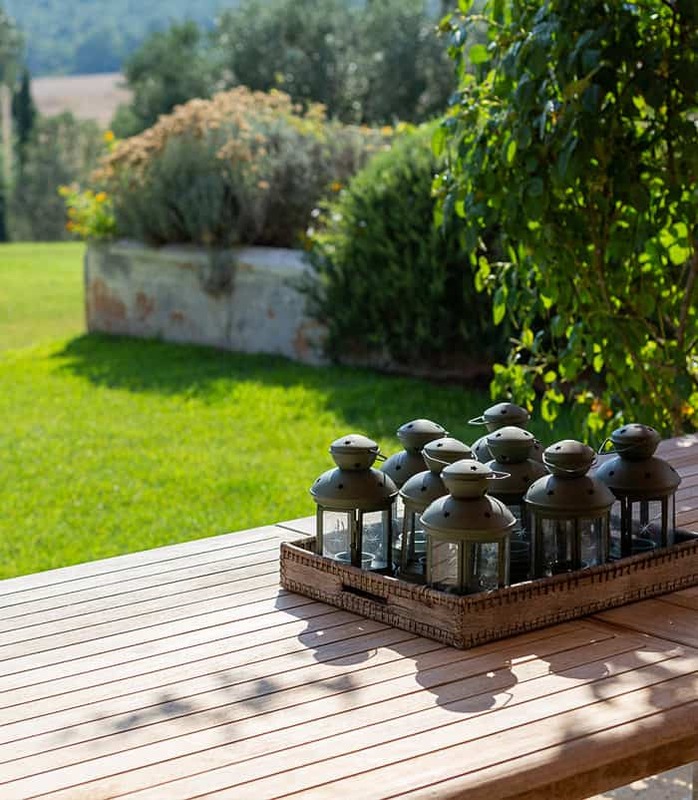 Around the pool, the relaxation areas stand out, with two large wooden dais, several comfortable chaise longue and broad shaded areas where you can rest and enjoy the view during the hottest hours. 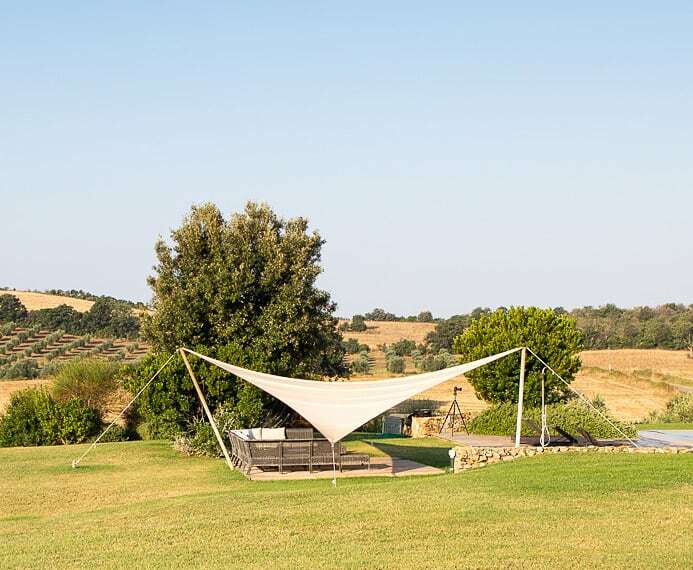 The villa reveals the primary intentions of the owners: a modern building, nevertheless defined by historical details derived from local culture. On the outside walls, for example, you will see 150 small windows, hinting to the design of old granaries. Local tradition surfaces also in the arched intrados accommodating seven large French glass doors which frame the outdoor landscape on three sides of the house, thus letting lots of light in the ground floor rooms. The Lecce stone and Cemento di Luna sidewalks pleasantly contribute to setting the villa in the surrounding nature, thus giving a contemporary and design project the desired look of a traditional abode. 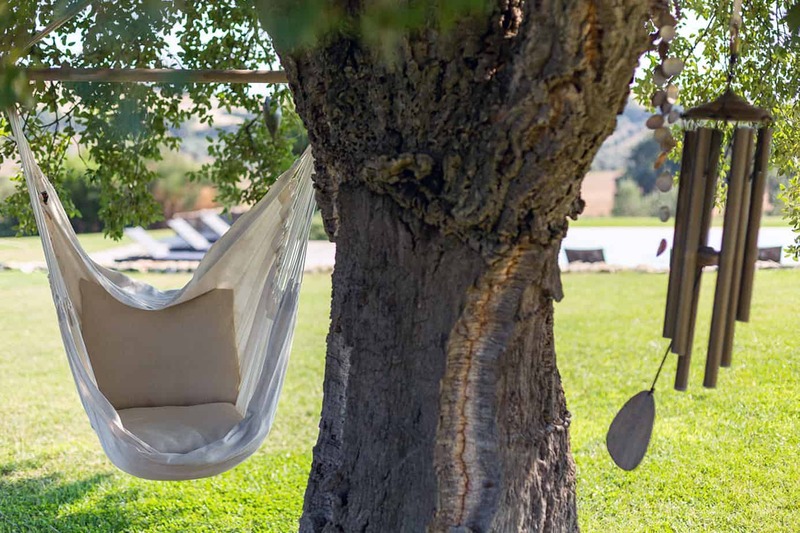 In the patio behind the villa, partly shaded by a natural bower and refined by a modern fountain, stands a grand carob tree and a play area with table tennis and a pinball machine. In order to make these wide convivial spaces especially enjoyable, the outdoors is completed by an area with comfy couches, a big kitchen with barbeque and chimney place and walnut wood bowers covered with natural reeds. 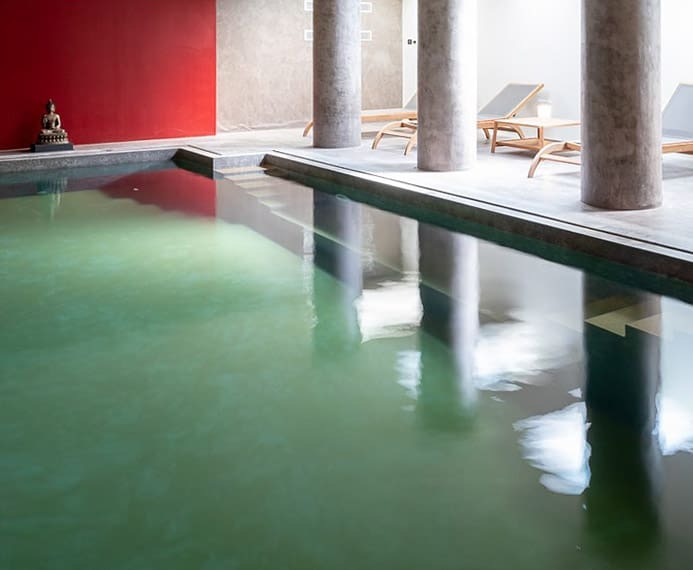 Two rooms are dedicated to relaxation and fitness: a heated indoor swimming pool and a gym equipped with Technogym machines and a large plasma screen.